1) Is the attorney Board Certified in Juvenile Law? This can be checked at the Texas Board of Legal Specialization website. 2) Is the juvenile attorney rated well by other attorneys and clients? This can be checked at the AVVO website. 3) Has the attorney been sanctioned for misconduct by the Texas State Bar? This can be checked at the Texas State Bar website. 4) Does the attorney have any negative publicity on-line? This can be checked by searching their name with Google or searching their name with the word attorney. The defense attorneys at Jim Sullivan and Associates are not interested in publicity, public accolades or recognition. Even in high profile cases, they seek to shield their clients from publicity. They are only interested in getting the best possible result for their clients. Their fees are affordable and they are approachable. 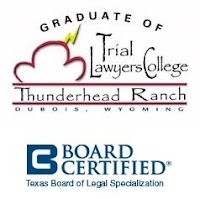 Jim Sullivan is Board Certified in Juvenile Law by the Texas Board of Legal Specialization. Juvenile Law is different than criminal law. Note: Among the more than 83,000 active lawyers in Texas, there are only 38 lawyers Board Certified in Juvenile Law in private practice. The other 27 such lawyers work for the government. Sullivan has received reviews by fellow attorneys and clients on AVVO, does not handle juvenile court-appointed cases and is not contributing to local juvenile judicial campaigns. Attorney Jim Sullivan attended Baylor University and South Texas College of Law. He has been married over 20 years, is a Christian and worships at Christ the Redeemer Catholic Church. Sullivan earned his Eagle Scout award at age 14. If you need an Angleton, Texas criminal or juvenile defense attorney, you can call him right now at 281-546-6428.